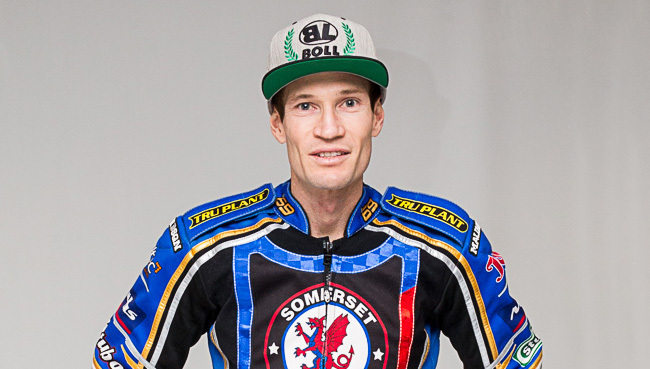 The 'Cases' Rebels final regular league race of their 2018 campaign ended in near tragedy for World Champion Jason Doyle who collided with the air-fence at the National Speedway Stadium and thrown over his handlebars as he sought to take the honours in an enthralling match. Thankfully, Doyle was able to walk away from the incident that led to the last heat decider being awarded in Belle Vue's favour to give them a 48-42 triumph, a result that broke the hearts of Rebels' neighbours Swindon who still harboured hope of reaching the play-offs. The Rebels had needed a 5-1 from that concluding race to defeat the Aces and present Swindon an opportunity to grab the fourth qualifying meeting when they host Belle Vue on Thursday, and Doyle did exceptionally well to work his way to the front, although partner Jack Holder was prevented from joining him as Max Fricke proved a stubborn opponent. With the race entering its latter phase, Doyle was pushing wider and wider and eventually ran out of track room, clipped the fence, recovered momentarily and then was thrown out the front. The referee's call was to disqualify Doyle and award the heat as an Aces 5-1, an academic verdict in the scheme of things, although the final six point margin didn’t reflect the entertainment value of the meeting with never more than six points separating the two sides throughout the course of the contest. Steve Worrall was kept on his toes by Doyle for the duration of the opening heat whilst behind Wilson-Dean was making his presence known around Max Fricke but couldn’t prevent the heat gain for the Aces. Jake Allen made a decent start in heat 2 but, on the inside, Dimitri Berge had a bit more power and eased clear. Lawson knows how to ride the NSS and his third to first move on the opening lap of heat to eradicate a potential Aces 5-1 was text book. Cook was expecting a red light as Holder got a flier in heat 4, it wasn't forthcoming and the GP star had to kick on to try and real Holder in but Jack was loving the open space ahead of him. An incredible heat 9 ensued with Allen looking for width, Holder heading for the inside whilst Worrall lead. Tungate was their target and Holder was happy to go shoulder to shoulder with him. The run he had to see off Tungate almost took him whistling by Worrall too. The battle may have lasted longer had Tungate not suffered mechanical problems. Lawson made a good move to get to the front in heat 10 but Fricke was a measure for him, coming through from third to send the Aces into a six point lead. Facing an unexpected 5-1 reverse Doyle made sure it did happen, running Berge wide enough to create an opening for Wilson-Dean and nestle in behind leader Cook. Besides the two points Doyle also earned himself a tactical substitute in place of Covatti, who's nil-score belied his effort. Allen battled incessantly with Worrall to try and steer a 5-1 Somerset's way as Doyle stormed to the win. Somehow Worrall, who had to pass Allen, held firm, resulting in just four points separating the two sides with three heats remaining. Three and a half laps of heat 13 were all focussed on the scrap between Doyle, Holder and Cook the Belle Vue man trying everything to arrest the 5-1 that three-in-a-row had constructed, the scrap between Cook and Holder producing speedway of the highest order. But no-one had thought about the fast man round the outside in the guise of Max Fricke and he stole the glory from the three of them. Lawson and Allen had an opportunity to square the meeting up until Tungate came through to split and so it went down to a heat 15 decider. Holder found himself at the back whilst Doyle led out front until he clipped that fourth turn.